Crayola Sunday and Monday Deals!!!! *Crayola 24 count crayons 3 boxes for $1!! **Must buy in quantities of 3 to get this great price!! *Crayola Super Tip Markers (20 count) just $1!! *Crayola 12 count Colored Pencils for just $1!! These deals are in-store only!!! While Supplies Last!! So on our way to the party we decided to run into Payless (only shoe store en route) and see if we could find her a pair of white shoes to go with her little dress. We succeeded!! Payless currently is having their Buy 1 Get 1 Free Sale through 9/8. So we ended up getting her a pair of white shoes and a pair of slip on sneakers as well. Plus at the bottom of my receipt printed a $5 off $25 purchase coupon for next time!! I never knew you could use a coupon with the B1G1 Free promotion...luckily I asked!! Never Miss another Payless sale... Sign up here . (Scroll down to the bottom of the page and enter your email address to join their email list.) Sometimes they email you coupons as well!! No time to get to Payless...order online and spend $60 and shipping is FREE to your home!! And remember they offer free shipping to your local store for easy customer pick-up!! Do You Have Any Expired's??? Anyone Use Enfamil Next Step??? Little Miss is way beyond formula now and I just recently received these checks in the mail. Does anyone use Enfamil Next Step? If so I have $22 worth of checks I would love to give to anyone who can use. It consists of (Five) $3.00 checks, (one) $4.00 check, and (one) $5.00 check. They expire 9-30-08 and 10-31-08. Just leave a comment on this post (With your email address, please so I can contact you).......if I get more than one person interested Little Man will randomly pick a winner on Monday night, September 1st. I will put them in the mail on Tuesday to the winner!! I know formula can be costly...feel free to spread the word!! Have a Few Prints to Print? Going on now through September 3rd, Shutterfly is having a Labor Day Sale. Savings up to 50% off their bestsellers! They are offering 4x6 prints for 15 Cents Each, Greeting Cards from 75 cents each (101 or more), Calenders are Buy 1 Get 1 for 50% off, (Great for holiday gifts for family members!) and Photo Books ship for free plus free prints, quantity depending on the size of the photo book you order. Free Sample of Cottenelle Fresh Flushable Moist Wipes from Walmart here. 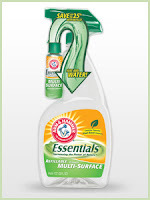 Buy ANY One Arm & Hammer Essentials Cleaner Starter kit (refillable spray bottle with cartridge) and get your purchase price back up to $3.50 by check...Fill out this form here. Click here for a $1.00 off coupon. Check out all of Ace's Labor Day Deals here. When the CVS coupon was taken off...it took off the maximium value allowed which was $3.49 instead of the actual $3.29 price. So that was my .44 out of pocket CVS trip this week!! Just the other day a friend of mine asked me "How do you remember all those prices? How do you look at a sale circular, or browse down the isles of Walmart and know what is a good deal or not??" I raised and eyebrow and began to think?? Clean Team Wipes---$1.64 a pack-------Y----------------Walmart ---42 wps. You can set up your price book many different ways....whatever works for you. You can even separate by store or by category...anyway that makes it easiest for you!! Do you use a price book? How do you have yours set up? 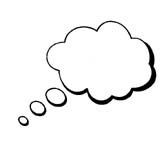 Or is your brain as full as mine of prices, ounces, sizes, and stores to get the best deals at?? We'd love to know!! I was a tad excited when I received my mail today! I received 2 FREE Breakstones Sour Cream coupons from a little contest I won the other day over at The Thrifty Jinxy!!! Can you tell I never win anything!!! LOL LOL Ohhhh...maybe my luck is a changing??? We shall see...excited to find out!! If you missed out on the Breakstone's give-a-way...not to worry, The Thrifty Jinxy is giving away a 3 Piece Mini Tool Kit this week!!! You have plenty of time to enter...September 7th to be exact!! So be sure to head on over and check it out!!! We Don't Leave Home Without It!!! No, it's not our MasterCard...like the commercial says....LOL LOL It's our Shrek lunchbag...yup...this very vibrant little bag......It has to be the brightest lunch bag on the market, seriously!! But this in the one Little Man picked out a while back, so here it is!! 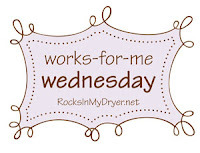 Lots more Works for Me Wednesday's over at Rocks In My Dryer. What's In Her Hair, You Ask?? Lots more Wordless Wednesday's over at 5 Minutes for Mom. Wow!! Who's On The Bag??? Have you ever opened up a can of mixed fruit after dinner and passed a small bowl of it to everyone at the dinner table. It is a great,sweet, light snack after a delicious dinner. Did you ever receive a response from a little one at the table....."No thanks...I'll pass on tonight's dessert!!" Well, I have heard that reply far to often around our table!!! Or what about the cereal straw commercial that Little Man saw on TV a while back? Every time we were at ShopRite, or Walmart for several months he would beg me to buy a box of them! I finally did when they went on sale and I had a coupon.....guess what??? He slurped down a 1/2 a cup of milk through one straw and never asked for another!!! In fact I just threw the box out.....they went stale we have had them for so long!!! I try my best to try and offer healthy, better for your body snack and food choices daily to the kiddies!! But it is hard sometimes when they see a cartoon character on TV promoting giant chocolate fudge cookies!!! Or seeing Superman on a box of junk cereal PLUS a free toy inside.......when on the Cheerios box there is nothing fancy!! Why would kiddies want to get the Cheerios??? Because they are healthier for them??? But what if manufactures started putting well known cartoons, and people kiddies recognize on healthy food choices too?? Would that make them choose healthier foods to snack on? Well today while at ShopRite I saw they had bags of boxed raisins with Lightening McQueen on the front. I took a walk over and checked them out(2 bags for $3). The bag contained roughly 15 mini boxes of raisins in Trading Card style boxes. Each box has a character on both sides of the box. There are also a few trivia questions on the back of the bag. How cute, I thought. Little Miss loves raisins....so I grabbed 2 bags and was on my way to the next isle. Little Man noticed the Lightening McQueen bags in the cart and he asked what was inside. I opened up a box and he gave them a try. Guess what?? He ate 2 boxes of raisins while telling me all about Ramone, Lightening McQueen, and Doc Hudson. I asked him if he liked them and he said "Yes, Cars raisins are way better then the others you buy"!! A success!! Little Man ate raisins today......Yippee!!! I know that several companies are now starting to follow this trend and I really hope it continues...as I think more and more kids would be willing to try different, healthier foods and feel optimistic about it. The character on the front of the bag can help the kiddies feel a little more comfortable and excited about trying something out!! Have you bought a product with a character or cartoon on the front? Would your kiddies of eaten it regardless of the character? Or was the character an added plus on the product? I'd love to know what you think or tried!! Heading out to JoAnn's in the next few days?? Here are 2 coupons to save you a little!! *Save 40% off ANY One regular priced item. Good until Saturday 9-6-08. *Save 10% off your TOTAL purchase (Sale and regular priced items included) Valid Friday 8-29 - Monday 9-1-08 Only. I am very organized with my grocery coupon file....my store/restaurant coupon file.......well, that's another story!!! It was originally a white envelope filled with out-to-eat coupons , car wash coupons, kiddie play place coupons, extra bucks, etc. Then due to over-filling, I suppose....all of the sudden the envelope kept tearing apart...and my purse would look like a dishelved paper disaster.....coupons everywhere!!!!! Plus, it would take me forever to find a coupon I would need to use. So I needed to find a new system!! Then just the other day I was in Target and saw a plastic coupon holder in the Dollar Spot section. I just had to buy it.....Here it is plum full with all my coupons (Isn't the design on the front so cute)!! There were even little sticky labels included to make it even more organized!! Lots more tackles over at 5 Minutes for Mom!! Wendy's Twisted Frosty Giveaway-Enter for your chance to WIN A YEAR OF FREE Twisted Frostys !!! Old Navy's Fall for Fashion Sweepstakes -You could win $5,000.....Enter once a day through 10-31-08!! Always Infinity Free Sample-Powerful Absorbancy like you have never experienced before!! Skintimate- Sign up for cool stuff from Skintimate like free samples, special offers, and more!! Durex- Free sample and $1.00 off coupon. Kotex- Pads, Tampons, and Liner samples from Walmart! Have you ever started something and are so into it in the beginning and then the interest slowly fades after a little time passes? Do you sometimes think back to how excited you were in the beginning and wish you could still be that excited now?? Well, for me losing some of that "baby weight" was a real challenge!! I must admit.....I heart food...especially the unhealthily, yummy tasting kind...LOL LOL After I had Little Man, I tried hard to lose some of the almost 40 pounds I had gained while pregnant. I tried to eat better, healthier foods and steer clear of all the sweets and not so good for me foods. I did lose a little weight, but not nearly enough!! After having Little Miss, I decided that I really needed to get serious about losing a little weight!! So I decided to start exercising again! I would set a goal of exercising 3 nights a week after the kiddies headed off to bed. I would exercise when hubby headed to do his workout routine. I would just do one of the 3 Walk Away the Pounds routines....they are only about 30 minutes which is totally do-able!! Or throughout the summer if I felt like a change was in order I would strap Little Miss in the jogger and we would walk for about 45 minutes outside. Guess what?? I have been following this exercises routine now for over a year and still going strong!! I am still loving it just as much as I did from day one!!! Why is this time different from my previous attempts you ask?? All because I have a bit of encouragement from hubby....not from what he says (He has never said anything about me exercising) but what he does!!! He makes it a habit for himself to exercise three times a week no matter what!!! I see him and that motivates me, encourages me...and makes it just that much more fun!! Although we are not physically exercising together....we are doing our bodies good at the same time!!! It is a great thing!! So here is to my wonderful, amazing hubby.....even though you may not even know this....it is your love that I have to thank for pushing me even when you did not know you were!! I really appreciate it!!! You have really helped me stay on the exercise track...Oh and helped me go down a size too during the process!!! Yippee!! Is there something you have been doing thanks to the motivation of another? How has it been working for you? 1. Keebler Hydrox Cookies (14 oz.) $1.79 a pack. *** Use the $1.00/2 Keebler Cookies coupon from the 8/3 Kellogg's coupon insert to pay just $1.29 a bag!!! 2. Gillette Satin Car Shave Gel...$1.99 (7 oz.) ***Use the .55/1 coupon from the 8/3 P&G insert and pay just .99 a can!!! 3. Hefty Foam Plates or Bowls (25-60 Count)....$1.59 a pack ***Use the $1.00/2 coupon from the 5-18 Red Plum insert and pay just $1.09 a pack!!! 5. Rayovac Batteries......1/2 Price at $2.99 each ***Use the $1.00/1 coupon from the 6-22 SmartSouce insert and pay just $1.99 for the pack!! Next 2 Deals are Wednesday-Sunday ONLY!!!!! 6. Colgate Plus Toothbrushes, any variety (Full, Soft, or Medium Head)...Just 77 cents each!! ***Use the .75/2 Colgate coupon from yesterday's inserts and pay just 27 cents each!!! ***Use the $1.00/2 coupon in the 7/13 Red Plum insert to pay just 27 cents each!!! Did you come across any other good ones? Let me know!! Cascade Complete All-in-1 Action Pac Dishwashing Detergent sample from Walmart......click here to sign up. Scroll down to the bottom of the page and look for click here button. You will also get a Free sample of Mr. Clean Magic Eraser as well!! Better hurry...Walmart Samples go quickly!! Here are this week's Office Depot Deals......The sale starts tomorrow and runs through Wednesday 8/27 ONLY!!! Vinyl Storage Pouch- 20 cents each...Limit 5 per household. To find a location near you click here! I ran into Genuardi's last night to cash in on the cereal deals and of course the Safeway Frosted Flakes were no where to be found down the cereal isle. They had every single kind but, my luck sometimes...LOL LOL So I went to the Customer Service desk to see if they maybe had any on an end cap somewhere in the store, or perhaps more stocked in the back? The associate went with me to the cereal isle and said he would substitute 5 boxes of Kellogg's Frosted Flakes for the Safeway Frosted Flakes. Yippee!! I was very, very impressed with the great customer service!! I got 5 boxes of Kellogg's Frosted Flakes for just $1 a box!!! I must say for my second time ever in a Genuardi's they made me a very happy customer!!! I will be back!!! Just got this weeks circulars and I am happy to say that if you are in need of some cereal this week, you are in luck!! Oh and hoping you have a Genuardi's nearby too!! Starting today Genuardi's is running The Great Cereal Deals Sale!! **Be sure to use the $1.00/2 Post coupons from the 7-27 Smart Source Insert to pay just $1.50 a box!! Remember you must buy 5 to get these great prices!! Sale runs through Thursday 8-28. Also be sure to check out the Super Coupons on page 3 of the Circular as well!! They have Skippy Peanut Butter 2 for $3 with Super coupon. **Be sure to use the $1.00/2 coupon from 8-17 Red Plum insert to pay just $1.00 for each!! Also they have All Detergent for $2.99 with Super coupon. **Be sure to use .40/1 All Detergent from 8-17 Red Plum insert to pay just $2.19 !! They also have French's Mustard on sale this week for .88...Use the .50/1 French's coupon from the 6-22 Smart Source insert and get it FREE!!!! Do you like to be one of the first to know when a company you know and trust is about to introduce a new product? Would it interest you to get to try that new product out yourself and then let you opinions be heard? How about all this for free? Let me introduce you to She Speaks! I have been a member now for several months and have loved the experience! I have been offered to test several products at home...and it has been both fun and easy! All you have to do to get started is fill out a questionnaire about yourself, your likes, dislikes, things you enjoy, etc. She Speaks will review your questionnaire and then offer you a chance to test products that they think you may want to try out. She Speaks is all about trying out something new in a real day-to-day environment (From the comfort of your own home!). All they ask is that after you try the product you just give them a little feedback as to what you liked about the product you tried out, did not care for, or what should be improved in your opinion. Sound like something you may be interested in? Check it all out here!! Already a She Speaks member? Have you enjoyed testing new products so far? If you can hold out until this Saturday 8/23 then you are in luck!! Saturday ONLY, Old Navy is having a Denim Jeans Sale!!! Women's and Men's will be $12 a pair and Kiddies and Infants jeans will be $7 a pair!!! Regular selected styles only...and Limit of 3 per person!! If it is as well known as the $1 Flip Flop sale they had this summer....I would be there early!!! Little Man is big into making crafts!! As he gets older he will see something someone has or has made and he loves to try to make one himself. He was watching Curious George just the other day on TV and George was making a cool robot! When Little Man saw the empty beer box on the kitchen floor a few nights ago he decided he wanted to try and make a robot out of it!! We spent about an hour yesterday working on it, and about a 45 minutes today....gluing, coloring, cutting, taping, stickering, etc. He is just so proud og his little handmade robot!! Here he is wearing it!! Just another fun way to recycle your recyclables!!! Someone Needs to Stop Me!!!! Oh How I Love Thee Clearance!!! Kiddie Fun on the Cheap!! All You Magazine Great Coupons This Month!! What to do With The Empties??? Free Roll of Film Developed!! !